Ludwigslust Castle is an amazingly beautiful palace complex in Northern Germany. Ludwigslust is located in the town, which is part of the Land Mecklenburg-Vorpommern Schwerin. Situated on 120 acres the picturesque palace complex forms the largest and probably the most beautiful natural park, which can be seen in this part of the country. Ludwigslust is located 40 km from the city of Schwerin, and over the centuries they have developed a stable relationship between the two settlements. Ludwigslust Castle was built as a hunting lodge of the Duke of Schwerin. The decision to build it was that of Prince Christian Ludwig, who was the son of the Duke of Mecklenburg-Schwerin. It was built during the year of 1724 and the palace was only intended to satisfy the whims of the prince and to supply him with pleasure, hence the fact the name of the castle. Ludwigslust translates as, The Joy of Ludwig. The baroque gardens of the castle were built in the interval between the years of 1731-1735. Fountains with cascades were also built in front of the castle. At that time, the region had no where to procure so much water for them and for the needs of the entire park, so during 1756-1760 they built a long 28 km water canal. In the following centuries the castle continues to grow and ennobles more and more. In the 19th century, between 1852 to 1860 years the landscape of the park of the castle was radically changed by the Prussian landscape gardener, Peter Joseph Lenné. 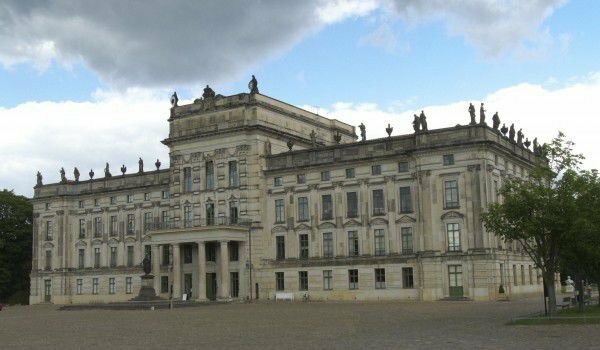 The complex of Ludwigslust Castle has many monuments and buildings that are worth seeing. Interesting is the mausoleum, Louisen-Mausoleum, which was built in 1809. Be sure to view the Catholic Church and St. Helena, built between 1806-1809. This building is considered the first Neo-gothic brick building in Mecklenburg. The beautiful gardens of Ludwigslust is a place where you can walk and feel the harmony of nature during every season of the year and the park has many unique plant species. There you can see many old and rare trees such as the so called snowdrop tree, a swampy cypress, magnolias and many others including an interesting species of flora which are all scattered among vast meadows and the sparkling lakes.